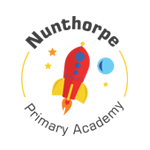 Nunthorpe Primary Academy is a converter primary academy right next door to Nunthorpe Academy. It is a very popular 3-11 converter academy with 250 students from Nursery age to Year 6. Nunthorpe Primary Academy has a good Ofsted rating; October 2011. Our most recent achievement is Artsmark Gold. The Nunthorpe Primary Academy motto is ‘The days that make us happy make us wise’, and this is reflected in our academy through all that we do.We promote individual effort against a background of solid teamwork. Almost all things can be fun to do and all children can be happy doing them. obtain the skills and qualities they need to continue this aspiration. Through North East Schools Teaching Allliance, we aim to train top quality teachers who will inspire future generations of young people with a love of learning and provide them with the very best possible life chances. We have worked with trainee teachers for many years and our experienced, dedicated staff have supported and developed them to achieve their ambitions in the teaching profession. If you have any questions please contact nsmith@nunthorpe.co.uk or NunthorpePrimaryHead@redcar-cleveland.gov.uk.